Never told anyone what happened that night on the train during the field trip? Was the stalker why you dropped out of music class? Have great safety tips you want to share? 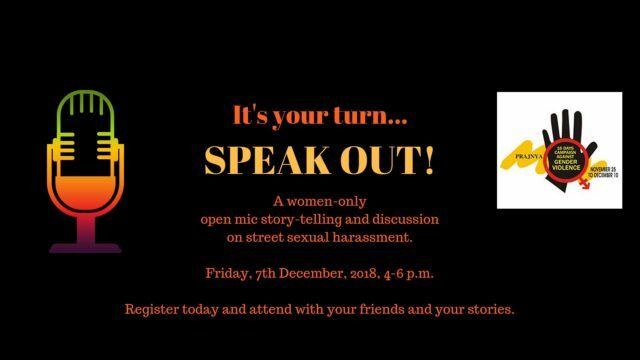 open mic story-telling and discussion on street sexual harassment. Register today and attend with your friends and your stories. to register over WhatsApp (+919790810351) or email (prajnya.16days@gmail.com).